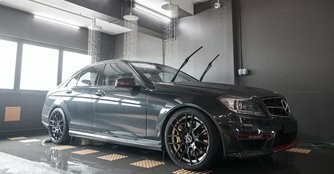 Artisan Detailing Boutique is determined to change your perception on professional car grooming with its comprehensive suite of hybrid car care products. What comes to your mind when you think of a car grooming centre? Do flashes of messy and stuffy enclosed places pop up in your head? If that is the case, you are not alone as many people, motorists included, perceive car grooming service to be carried out in those areas after noticing numerous car waxing and polishing businesses located in underground car parks. You may ask, now what is the difference between auto detailing, grooming, waxing and polishing? Auto detailing is the systematic process of cleaning, restoring and protecting the various surfaces of a vehicle. As such, it encompasses car waxing and polishing which are essential in keeping the exterior of the car in tip-top condition. Most car owners actually do not bother to groom their rides, much less to maintain them on a regular basis. Auto detailing not only allows the paintwork of one's ride to retain its original shine but also enhance its outlook as well. Clean and modern, passers-by would be forgiven should they mistake the premises of Artisan Detailing Boutique to be a shop, which retails high-end products. Instead of pampering themselves by purchasing the latest apparels at a clothing boutique, car owners pamper their prized assets in this particular boutique. 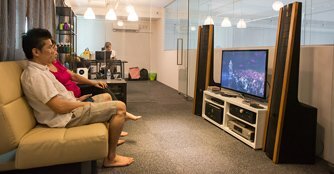 Artisan Detailing Boutique presently targets mid to high end models for its services, though other models are more than welcome to try their full range of services. Formerly known as Excelsior Car Care and later DiamondBrite, SuperBrite Centre, founder Mr. Freddy Ang decided to make a comeback to the industry after a decade-long hiatus to venture into the GPS navigation business. He is extremely experienced in this industry, having been widely engaged by numerous marques in the 1980s for motor shows and other events. The company developed SuperBrite Glazing System, which was well-known in the Singapore and Thailand market then. Customers are required to remove their shoes once they step into the air-conditioned workshop, a practice unheard of in the auto detailing business. Artisan Detailing Boutique prides itself on placing huge emphasis on workshop cleanliness and they mop the area regularly to keep it spick and span. A relatively new concept in this industry, Artisan Detailing seeks to differentiate itself from its competitors by offering an elegant ambience to its customers. Cosy and inviting, you will feel right at home the moment you step into the 'workshop'. By far, this is the most elegant and upbeat detailing centre in town.